Trailerite.com celebrating the rich and adventurous history of RVing. The RVing lifestyle has its beginnings in the early 1900s. 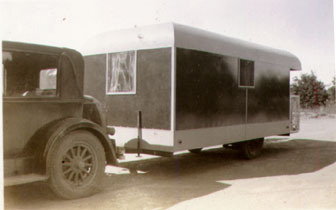 Not long after the rise in popularity of the automobile folks began building trailers similar those used today to pull behind their cars and hit the open road. Sometime during those early days these travelers adopted the name 'Tin Can Tourists' probably because of their tin can like trailers. 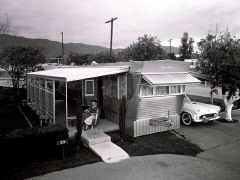 After WWII returning veterans looking for inexpensive housing that spurred the interest in travel trailers. That's the Motto of Millions Who Follow the Sun With a Home on Wheels. Only these RVers were doing in back in 1935 when a site in a Florida trailer resort cost one dollar a week with an extra twenty-five cents for electricity! Learn about the Movie one of the first about the RVing lifestyle, take the Long, Log Trailer Trivia Quiz, listen to audio clips from the movie. 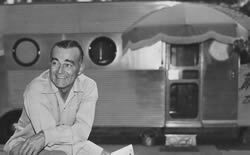 The book chronicles the year-long cross country adventures of full time RVers Clinton and Merle Twiss in the late 1940s. Read the description from the dust jacket.